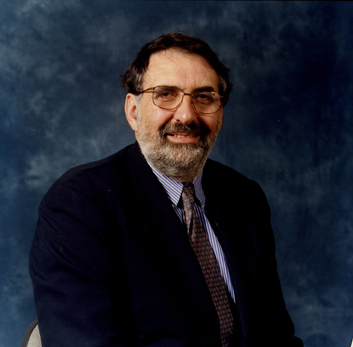 Professor Roland Levinsky was an immunologist whose research interests included bone marrow transplantation, the molecular basis of immunodeficiency diseases, gene therapy and stem cell biology. He performed the first bone marrow transplants at Great Ormond Street Hospital, London, in 1979 and, together with colleagues including Professor Christine Kinnon and Professor Adrian Thrasher, he initiated international collaborations which ultimately led to the discovery of the genetic basis of several primary immunodeficiency diseases. Roland Levinsky understood the power that could be unleashed by the molecular biology and genetics revolutions of the late 1970s, and was one of the first scientists in the UK to obtain funding for gene therapy clinical trials, which have subsequently proven successful at Great Ormond Street Hospital in treating lethal immunodeficiency conditions. Roland Levinsky was born on 16 October 1943 in Bloemfontein, South Africa, and educated at the nearby Grey College. He moved with his family to the UK in 1959, when he was 16 years old, qualifying in medicine in 1968. He trained in paediatrics in Birmingham and at University College Hospital before moving to Great Ormond Street Hospital in 1973. He later became Senior Lecturer and Honorary Consultant Immunologist under the guidance of his mentor Professor John Soothill. He was appointed Hugh Greenwood Professor of Immunology in 1985, a Chair he held at the Institute of Child Health, until he left London in 2002 to be Vice-Chancellor of Plymouth University. Roland Levinsky's greatest achievement was to turn the Institute of Child Health into one of the foremost children's research organisations in the world. Succeeding Professor Philip Graham as Dean of the Institute in 1990, Levinsky set about a complete reorganisation of the Institute's academic structure. He recruited many young clinical and non-clinical scientists, whose research interests ranged across diverse fields, from genetics to public health, but who all shared one thing: a desire to apply top quality science to the diagnosis and treatment of children's disease. An immediate effect of this reorganisation was that the research space became 'owned' by the scientists, who then formed productive collaborations with the clinical consultants at Great Ormond Street Hospital. Although this did not suit everyone in the organisation, it had the effect of dramatically increasing the quality of the scientific output and the ability of the institute to attract research grants from the most prestigious funding bodies in the UK, including the Medical Research Council, Wellcome Trust, British Heart Foundation, and Cancer Research UK. The 1992 Research Assessment Exercise gave the Institute of Child Health a score of only 3, reflecting its rather average scientific performance over the preceding four years. Under Levinsky's leadership, the institute rose to a score of 5 at the next RAE in 1996, and in 2001 (two years after Levinsky had stepped down as Dean) the Institute scored the maximum 5*. It was widely acknowledged that it had been Levinsky's policy of recruitment and reorganisation that had led to this immense academic achievement in just a decade. Roland Levinsky embraced an increasingly close relationship between the Institute of Child Health and UCL, which culminated in a merger in 1996, when many of the London postgraduate research institutes joined with the large medical school-based universities. In fact Levinsky's talents were widely recognised throughout UCL, and this led to his appointment in 1999 as the Vice Provost for Biomedicine and Head of the Graduate School, positions he held until his departure for Plymouth in 2002. Roland Levinsky was an enthusiastic sailor, perhaps inspired by a spell as ship's surgeon on the SS Oriana in the early 1970s. He was a Master Mariner, who commanded his own yacht, and took it to various locations including one transatlantic voyage undertaken in 1996, while awaiting the outcome of the institute's RAE submission. Roland was also a skilled potter, delighting friends with gifts fired in his own kiln. Roland Levinsky died in a tragic accident on New Year's Day. He will be widely missed by everyone who knew him. He was a giant in every sense, a tremendous family man, whose wisdom and kindness touched the lives of many. His loss is devastating, and the thoughts of all his friends and colleagues are with his wife, children and family at this time.